I know this is 2 days old but I have been busy the last 3 days and I feel that even if you have already seen this, it’s worth a second look. 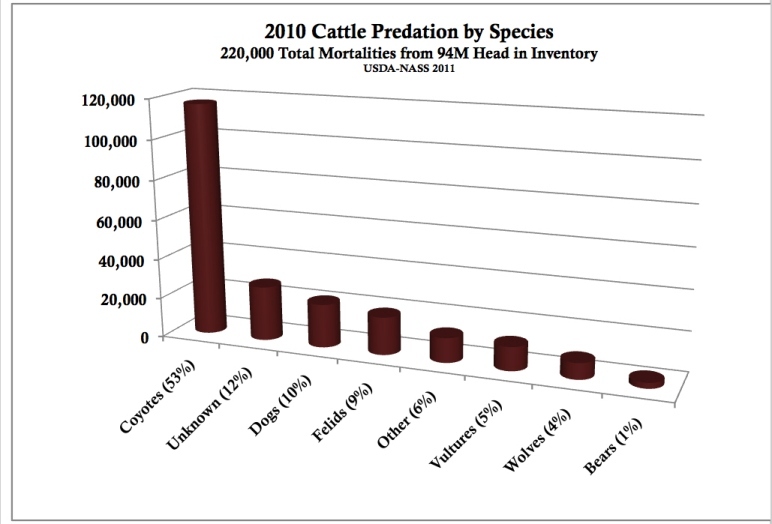 Wild Earth Gaurdians just republished a resent report showing the overall numbers for livestock, specifically cattle and sheep, and what has contributed to their death in 2010. The findings show, just like I have posted on here before, that overall, wolves have killed less than a quarter of 1% or .0020% of the total cattle population. 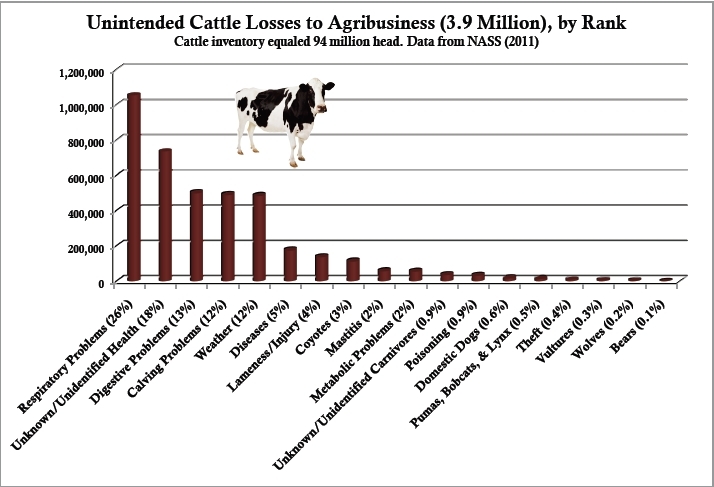 Also, as I have reported before domestic dogs are responsible for killing 3X more cattle than wolves. Just to be clear, I LOVE dogs and am in no way trying to put blame on them or cast them in a negative light, but I think this statistic is very eye opening to those who are uninformed. 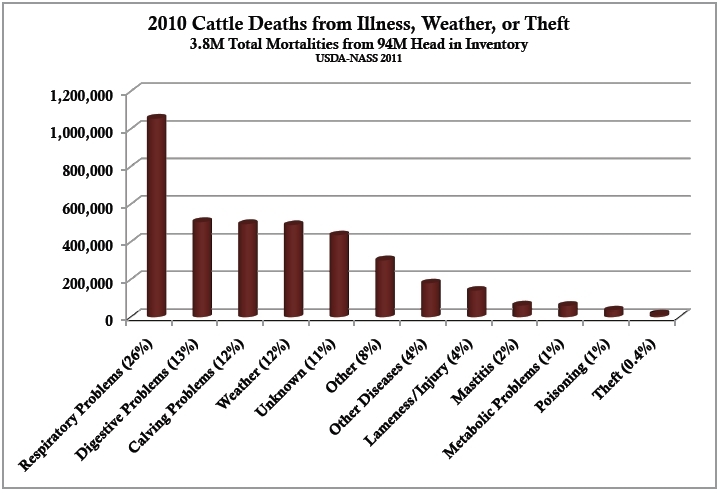 Another area I found interesting is that 12% of cattle deaths are caused by weather and another 4% by disease. If ranchers took the time, energy, and money they use on their anti-wolf campaigns and applied it to those categories, they might be able to find more effective ways to preserve their cattle. The last thing I would like to point out in the study is that coyotes are by far the largest carnivores killer of livestock. I know it has been mentioned before but can this whole rancher/wolf problem be a case of mistaken identity? Anyway, if you want to read the entire report, click the link below. Let me know what you think when you are done looking it over. This entry was posted in Uncategorized and tagged cattle, conservation, likestock, widlife, wildearth guardians, wolf, wolves. Bookmark the permalink.